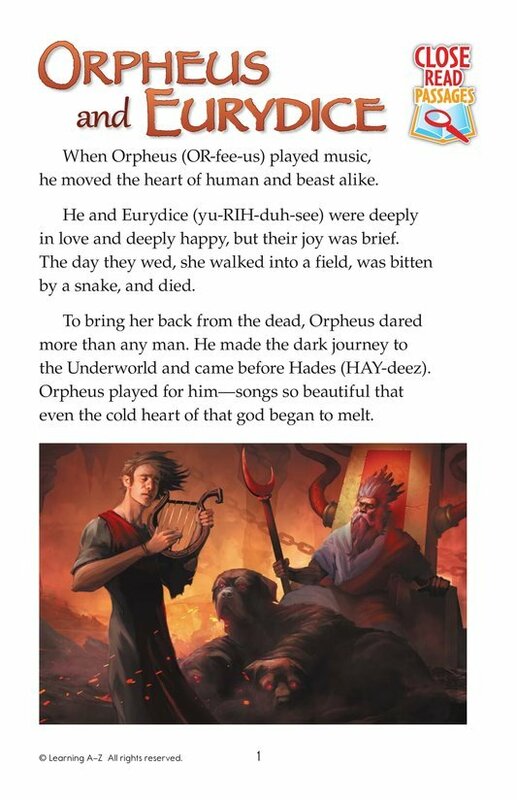 When Eurydice dies, Orpheus journeys to the Underworld to bring his young wife back. He is the most talented musician on Earth, and when he plays for Hades, even that god is won over by his beautiful music. 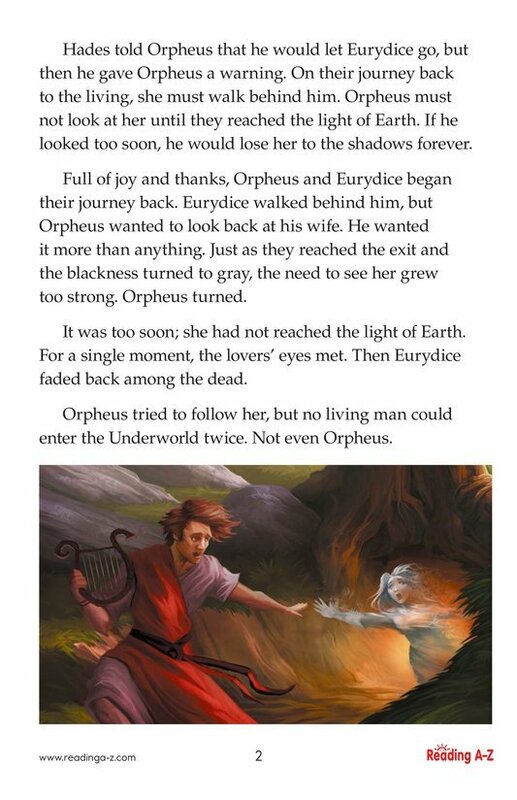 Hades agrees to let Eurydice go, but on one condition: Orpheus must not look at his wife's face until they've left the Underworld. Will he succeed?